Cat bond prices are at long term lows. This seems to be for at least three reasons – the broadening acceptance of the asset class, excess capacity in the reinsurance market and the price of risk in comparable asset classes (in particular junk bonds). 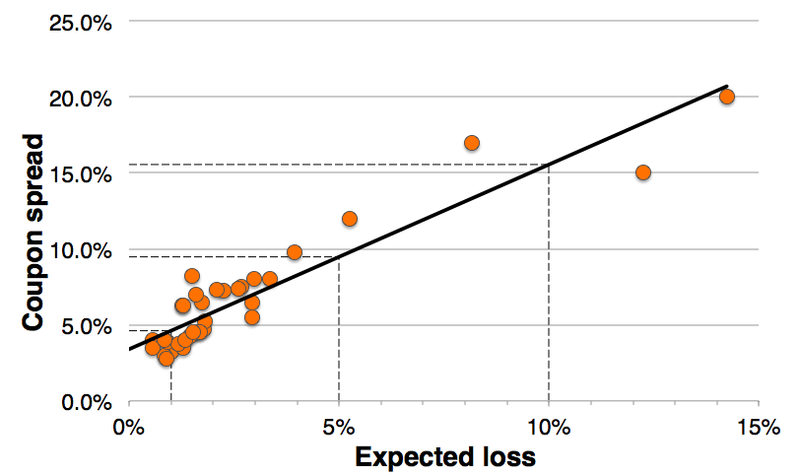 This is the first of two articles that will examine how the relationship between 'expected loss' (a catastrophe model's estimate of the average annual loss) and the 'coupon spread' (similar to the 'rate on line' in reinsurance pricing) has changed over time. This first chart shows the risk/return relationship for 12 months of US wind exposed cat bond issues up to June 1 2014. A simple linear regression implies that the spread for 10% expected loss should be 15.5%, the spread for 5% expected loss should be 9.5%, the spread for 1% expected loss should be 4.6% and the (hypothetical) spread for zero expected loss should be 3.4%. Note that a number of bonds have priced below this, including East Lane VI at 2.75%. 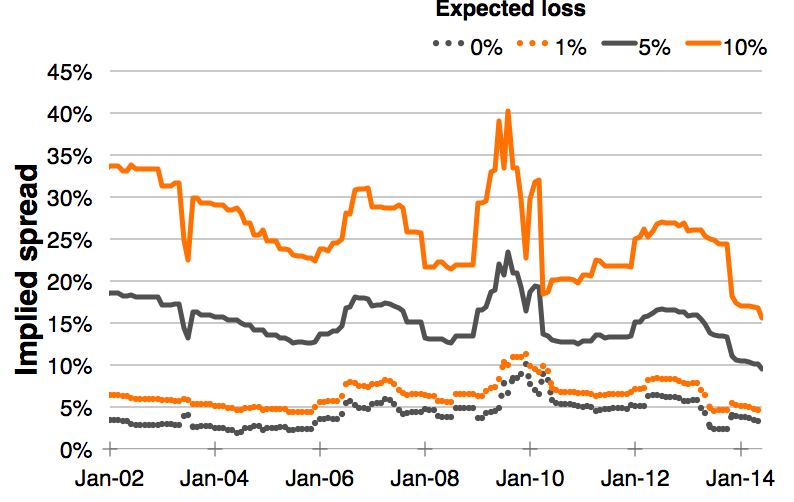 The second chart plots the implied coupon spread for these four expected losses (10%, 5%, 1% and 0%) at the first of every month back to January 1 2002 using the prior twelve months of cat bond issues. Note that using the trailing twelve months of bonds leads to a six month lag in the timings of the plot. The minimum (expected loss = 0%) spread has remained relatively steady over time. In fact, it is the same today as it was in January 2002 (3.4%). What has changed dramatically is the spread that the market offers for higher risk levels. The market pays just 15.6% for 10% expected loss – less than half the return at the beginning of 2002 for exactly the same level of risk. The price for any individual deal will be significantly affected by a large number of factors peculiar to that placement. But the overall pricing level can be explained by a combination of three factors. 1. The perception of ILS has changed from an exotic asset class to something much more mainstream and this explains much of the secular decline in yields. This change in perception has meant a significant change in the types of investors that invest in cat bonds (or pay ILS funds to invest for them). 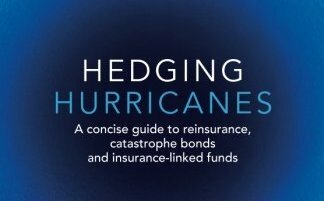 In 2002, cat bonds were largely owned by reinsurance companies and hedge funds. Today, institutional asset managers – including pension funds – are driving the market. These investors have much lower return thresholds. 2. A second factor in the returns of cat bonds is the close relationship between the cat bond and reinsurance markets. The price increase in 2006 is likely to be related to hurricanes Katrina, Rita and Wilma in 2005 which had a dramatic effect on reinsurance pricing due to the sudden reduction in global reinsurance capital. Conversely, it seems likely that today’s cat bond prices are affected by the surplus of capital in the reinsurance industry. The growth of the cat bond market has itself been part of the cause of the excess capital. 3. The other two jumps in spread – at the beginning of 2009 and 2012 – are hard to associate with events in the reinsurance market. But a plot of high junk bond yields shows similar movements which suggest a third factor. The financial crisis and Eurozone crisis offer good explanations for these price movements. The high cat bond spreads in 2002 also corresponded to a peak in junk in bond yields following the collapse of the dotcom bubble. Does this final observation undermine the non-correlation argument that is used to sell cat bonds in the first place? Not really – almost all of the volatility of cat bond returns is related to defaults rather than yields. The recent, rapid drop in cat bond prices seems to be due to these three effects pulling in the same direction. The same three factors are likely to influence the price of risk in the coming years. A note about our data – data has been gathered from private and public sources but InsuranceLinked is unable to verify its accuracy. But we do aspire use data that is as accurate as possible – if you spot an error or omission, please write to editor@insurancelinked.com and it will be corrected quickly. Our library page contains a number of high quality data sources. In this article, exhibits have been filtered to include only public cat bonds with exposure to natural catastrophes. We use the conservative ‘short term view’ for expected loss estimates.